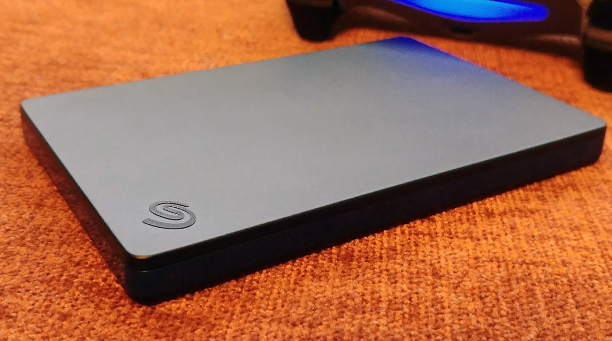 This Seagate 2TB/4TB Game Drive Review covers everything about this hard drive. Seagate 2TB Game Drive for PlayStation 4 is a portable external hard drive for upgrading your game console. This is a smart device which allows you to store more than 50 games. It provides you with the maximum space for storing your games without deleting your favorite previous games. Just expand your console’s capacity with the Seagate drive and you don’t have to compromise with your old games. It offers lightning fast speed USB 3.0 which allows you to have speedy gaming just like the internal drive. Just plug it into any USB port of your console, it will be prompted through the smooth setup. After the setup wizard, you are ready to use this portable drive. The Seagate 2TB Game Drive connects with a USB 3.0 port with the included USB cable. PS4 will detect it automatically and set it up. Due to its fast processing speed, it also allows you to install and run the games directly from the Seagate drive. Additionally, the external drive permits to take your games wherever you want. When you log in your account while this drive is connected, then you are able to play all the saved games away from your home. This is a plug-and-play storage drive which is compatible with any PlayStation 4. It includes a Seagate 2TB Game Drive for PlayStation 4, a user manual, 18 inches USB 3.0 cable, and a limited 1-year warranty card in the box. It is available in 2 colors black and blue. Let’s have a look at its features which help us in knowing the fact that what makes the Seagate 2TB game hard disk drive a better choice for your console. 2 TB space for boosting storage capacity. Specially designed for PlayStation 4 game console. Able to store more than 50 games. 18 inches USB 3.0 included in the box. Compatible with any PlayStation 4. Simple replacement if breaks down. Lose data if disconnected accidentally. The Seagate 2TB Game Drive for PlayStation 4 is an external portable hard drive which is specially designed for the PlayStation 4. With its huge storing capacity, you could save more than 50 games for playing them any time. Overall, it is an ideal external drive for gamers who want to try new games without deleting the old ones. It also allows you to use it with different consoles from where you left the game. And you can transfer your games from internal drive to this external drive in no time.